Here's my tutorial to milk steaming for Cappucino, Latte & Flat White. Follow for consistently perfect milk frothing results. Please leave your comments below or contact me with any questions, feedback. I will respond personally as soon as I'm available! Microfoam is the product of a properly steamed milk, using usually a steam wand of a Professional espresso machine. It is possible to create microfoam without a professional machine, by using instead either a manual or an automatic milk frother, we will discuss these methods in later blog posts. This espresso machine has been my favorite for many years. While not being too flashy, you can expect perfect results producing classic 9 bar extractions. This machine features a dual boiler system, meaning the steam for frothing is being produced and kept in a separate boiler, allowing to raise the steam pressure to my personal favorite, 1.5 bars. 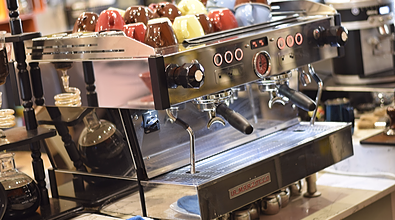 You can almost any other professional machine, even single boiler machines, in order to create latte art. The recommended pressure level should be between 1 and 1.5 bars. For the purposes of steaming, almost any pitcher will do. You can argue that heavier and thicker frothing pitchers are more comfortable for frothing, especiialy for several beverages at a time, but if it works for you, you can keep using any pitcher you acheive great results with. 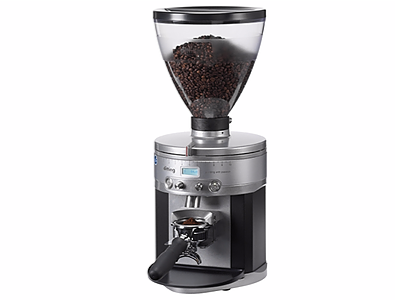 We will discuss more coffee art equipment in future posts. Best Barista Milk for Latte Art? I would argue that almost any milk can be used for latte art, the main difference will be in the taste and steamed milk texture. For ease of milk frothing, I recommend using fresh 3-3.5% fat. Most importantly, keep the milk refrigirated to approximately 4 degrees Celsius. We will explore frothing various different milk types in future blog posts. The amount of milk in the steaming pitcher is imperative, use too little or too much and it can become impossible to froth properly. 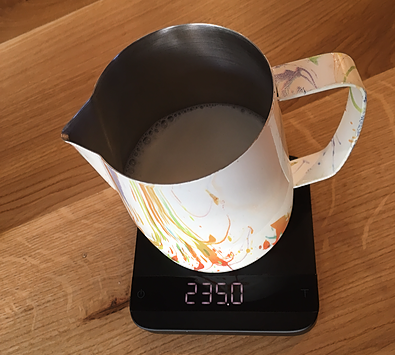 The best way to know you have the perfect amount is weigh the milk in the milk pitcher. After doing so for a few times, you will be able to asses the right amount to fill by eye. In this case we are using a 270ml cup, 50 ml espresso and 235ml of milk (there will be a little left over milk). 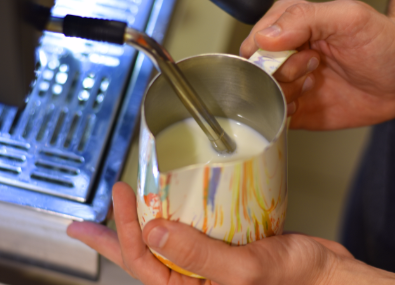 We recommend the Ultra Sharp Series Milk Frothing Pitcher. Steam is water vapor, it in itself does not contain air. Instead, we use it to “push” the room air into the milk. The amount of air we want to introduce into the milk depends on the beverage we are making. 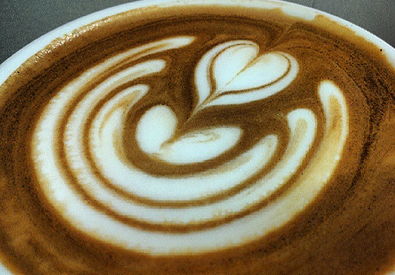 When making a cappuccino we will “stretch” the milk a little longer and less for lattes and flat whites. I find that the ideal amount of foam in a milk coffee is around 1-2cm, you will notice I’m frothing for only X Seconds and then I raise the pitcher and the hissing sound stops. Notice in the picture above how we position the tip of the milk steamer (= Steam Wand) approximately 1 cm below the surface of the milk. We try to keep it close, but not touching, the wall of the pitcher. One hand stays on the outside of the pitcher to gauge the temperature of the milk. I recommend varifying the temperature with a thermometer for the first few weeks to get a good sense of the temperature, eventually you will feel confident you got the right temp even without using a thermometer. As you can see, the milk is not too heavy and does not spin around for too long once we stop swirling it. The microfoam is shiny and without any visible bubbles. 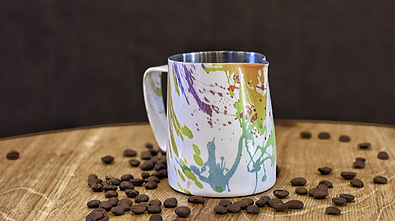 In this pour I went with the most basic version of the Tulip Latte Art pattern. In the future I will be showing how to approach free pour, and introduce new tutorials on increasingly difficult and trending latte art patterns. My favorite style of Latte Art or Cappuccino Art is the free pour, in future post we will discuss latte art etching and other styles as well. Hope this tutorial helped a little. Please feel free to leave a comment and/or send me an e-mail at asaf@baristaswag.com. I’m always happy to help! Ready to up your latte art game? Such a great explanation! Still, it’s hard to learn the first year of practice ;) Im practicing now to be a barista. On my daily job as a receptionist i have a coffemachine to practice on(FAEMA e98 RE) :) Do you have any tips what i should have to start? (pitcher,tamper,) And what kind of milk do you use for latte Art? Learn the difference between latte art terms and get the best advice for winning latte art competitions.